You may be one of the faithful Black Friday shoppers lining up outside malls and department stores across America. But at many stores there's no need to wait. Black Friday doorbusters begin as early as 6 a.m. the morning of Thanksgiving day, when Kmart opens. You can shop there any time until the real Black Friday is over -- it's open for 42 hours and finally closes at midnight on Saturday. 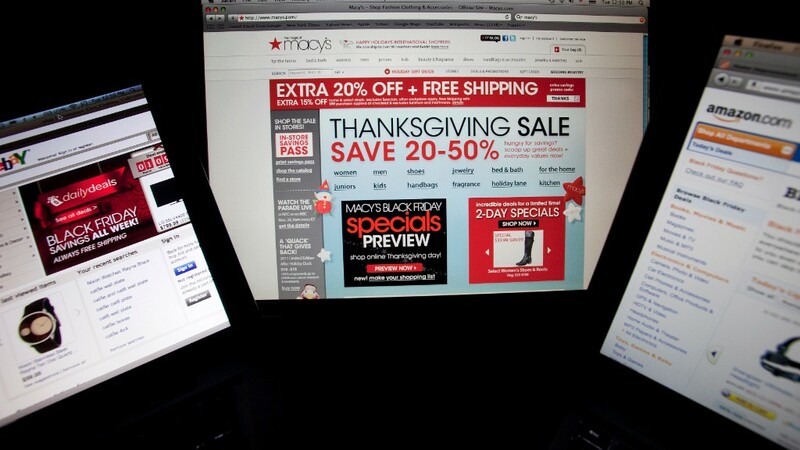 Like Kmart, a growing number of retailers are starting Black Friday a day early. This year, Radio Shack (RSH) joins the list with an 8 a.m. opening, though most -- the likes of Macy's (M), Best Buy (BBY), Target (TGT), Kohl's (KSS), Toys R Us, J.C. Penney (JCP) and Sears (SHLD) -- still wait until after dinner is served. We're also discovering we don't need to leave home -- or even the dinner table -- to get deals. Many retailers launched their first holiday discounts several days ago across their sites and mobile apps. That could means Cyber Monday isn't the one-day event it once was. If you do visit a store, expect to will find an increasingly mobile-friendly experience. Shoppers can whip out their smart phones to check out on deals, availability of items and store maps at the mall. $616.9 billion, according to the National Retail Federation. That's 4.1% more than last year. Our online spending is expected to grow even more. Estimates range from 8% to 15%. It's best to shop early -- last year, the number of online orders was too much for UPS (UPS) and Amazon (AMZN) to handle, so some didn't get their presents by Christmas. Retailers bank on Black Friday to kick off their most profitable ("black" in the ledger) season. Stores are betting that opening earlier and earlier will help them scoop up our cash. But maybe the joke's on them: a CNNMoney analysis found Thanksgiving openings did little to boost sales.